Kid Time Enterprises, LLC: I am now a published author! Would you like to attend my celebration in Maryland? I am now a published author! Would you like to attend my celebration in Maryland? Yesterday was very exciting for me. My books were produced sooner than expected. My mom took me to the printer to pick up stock of "Tyler Goes Around the World." 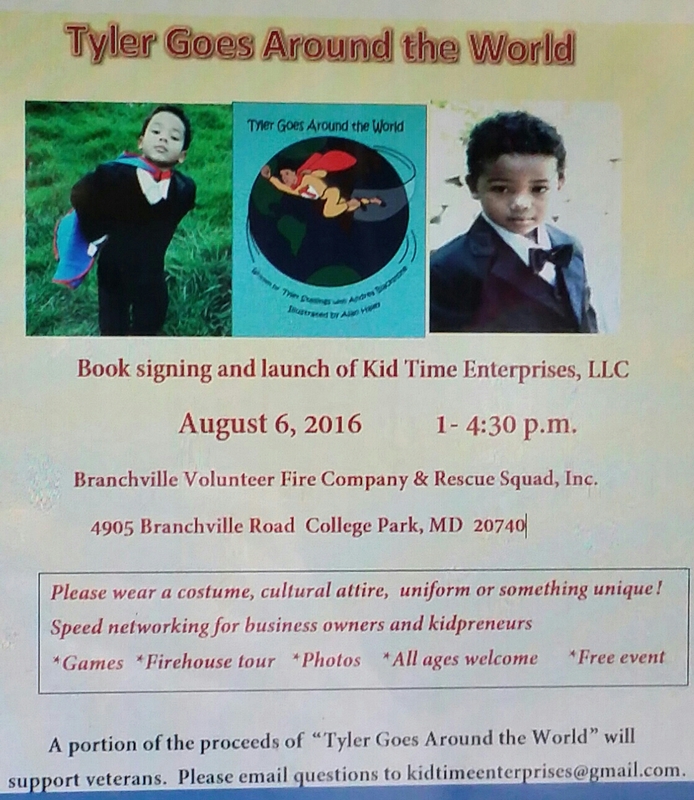 We are getting ready for my book signing and networking event on August 6, 2016 in College Park, Md. If you would be interested in attending, I would like to meet you. Please read the flyer below. Small business owners and kids who may be interested in promoting their businesses will be encouraged to connect with other attendees at my event. A portion of my book proceeds will be used to help veterans in need for the next Give Back to Veterans Day. 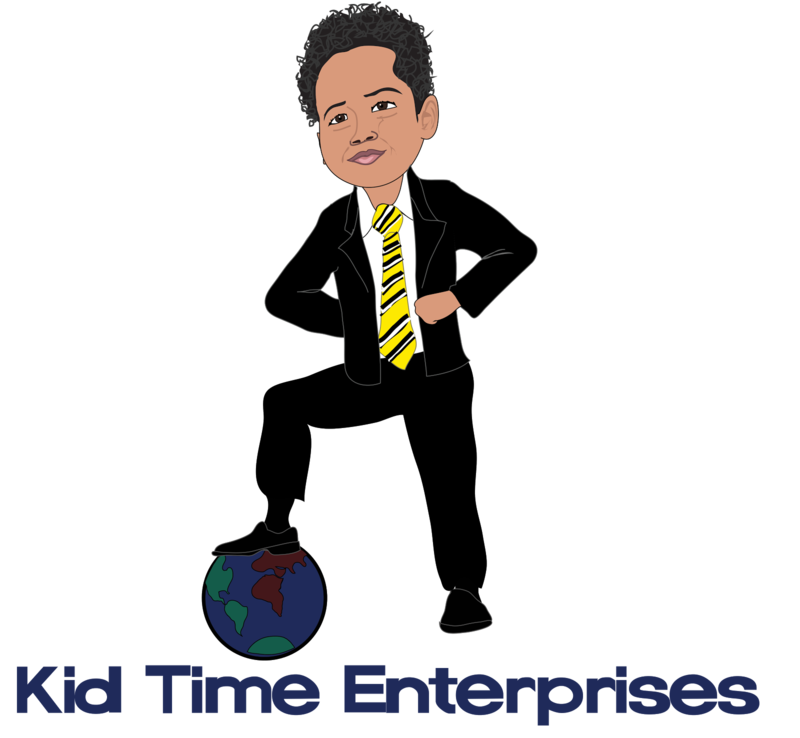 If you missed news about it, please read about the project here: http://www.kidtimeenterprises.com/2016/04/over-800-worth-of-products-given-to.html?m=1. Before I go, I want to let you know that if you would like to sponsor an activity on Aug. 6, please email kidtimeenterprises@gmail.com. I can thank you for helping me by promoting your venture.